Call me unscholarly, but I do not see the New Testament engaging in bait-and-switch tactics. Sitting across from me was a well-known scholar with a PhD in New Testament studies, not to mention a prolific writer and speaker on the theological implications of the Israel-Palestine conflict. We were discussing such things as God’s promise to Abraham that his offspring would inherit the land of Israel. “But the New Testament spiritualizes the Old Testament,” he stated as fact. “I disagree,” I said, shaking my head. But I knew where he was coming from. For example, Hebrews says that Abraham was looking forward to a heavenly country, to “the city that has foundations, whose designer and builder is God” (Hebrews 11:10). He acknowledged that what I said was true, but explained that by the New Testament Era, things had changed. Some Jewish sects (particularly Hellenistic communities like that of Philo) had already begun to see the Hebrew Scriptures in spiritualized terms. To me, a spiritual-only interpretation of prophecy is theologically inconceivable. God promised Abraham that his seed—that is, his actual descendants—would be given the land of his sojourns (Genesis 12:7, for starters). God promised through Moses that the Jewish people would be gathered back to the land that their fathers possessed (Deuteronomy 30:5). Time after time, the prophets foretold a physical return to the land, a literal rebuilding of its ruins, and the exaltation of Zion (that is, Jerusalem) as the spiritual focus of the entire world. But the way that this scholar interpreted the New Testament, the “offspring” that inherited the promise of Abraham were not Jews, but Christians of all nations. The “land” that they inherited was a spiritual kingdom that encompassed the whole earth. In other words, God’s promise to Abraham and its fulfillment bear no resemblance to one another. The Torah’s system of justice demands equal weights and measures. One cannot change the currency in the middle of a transaction; to do so is a criminal act. God himself demands, “If a man vows a vow to the LORD, or swears an oath to bind himself by a pledge, he shall not break his word. He shall do according to all that proceeds out of his mouth” (Numbers 30:2). Will he exempt himself from this rule? The implications go further. The prophets foretell a Messiah who would bring all this about, who would be involved in the ingathering of Israel, the rebuilding of the Sanctuary, and the dissemination of Torah from his Jerusalem throne. It is on these prophecies that the authority of the office of Messiah stands. As a firm believer in Yeshua, I have no doubt that he will accomplish all of this. If a promise is physical, then even if it has spiritual effects, the fulfillment must not omit its physical aspect or else it is not a fulfillment whatsoever. That means that any messiah claimant who refuses to grant Israel what the prophets actually promised is not a valid candidate. Likewise, if the New Testament spiritualizes the Old Testament to the exclusion of literal fulfillment as promised (God forbid), then it cannot also derive its authority from it. If this were the case, then it would be promoting a new religion altogether, with no connection to Abraham, Moses, or the prophets. Everything would fall apart. And that’s why I find it necessary to part ways with New Testament scholars by the thousands on this point. So what does the author of Hebrews mean by saying that Abraham sought a heavenly country? Did Abraham know all along that God had no interest in the earthly Jerusalem? A Western mindset relegates what is spiritual to an invisible dimension. This is not the case in a Jewish perspective. 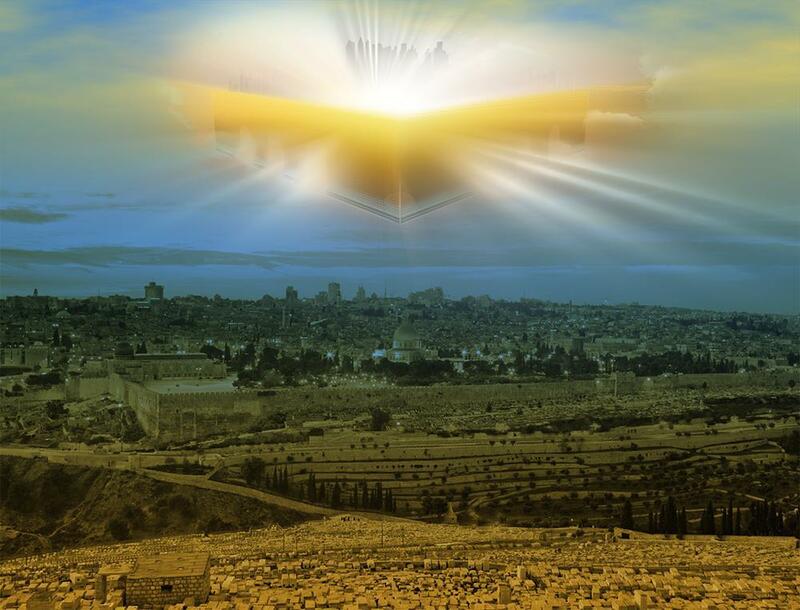 The prophets, with all their focus on the tangible land of Israel and the earthly stones that comprise Jerusalem’s ramparts, never denied the spiritual, heavenly quality of that place of promise. The difference between a city founded by men and one founded by God is not the sphere of its existence. A city built by God is one that will not be destroyed and is filled with the glory of God. Abraham’s children were promised a heavenly country, not a country in heaven. That place is none other than the land of Israel. 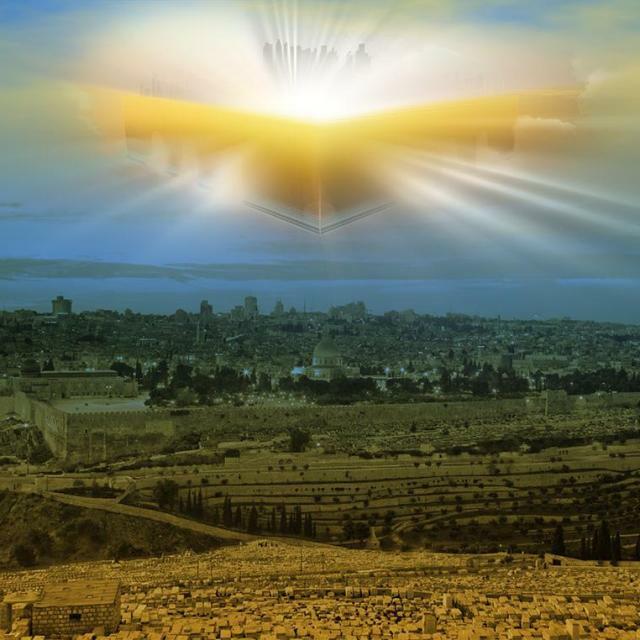 When Yeshua returns and his reward is with him, Mount Zion—yes, that Mount Zion—will be his throne. This fulfillment will simultaneously be spiritual, impacting all humanity, and physical, for Abraham and his descendants forever.